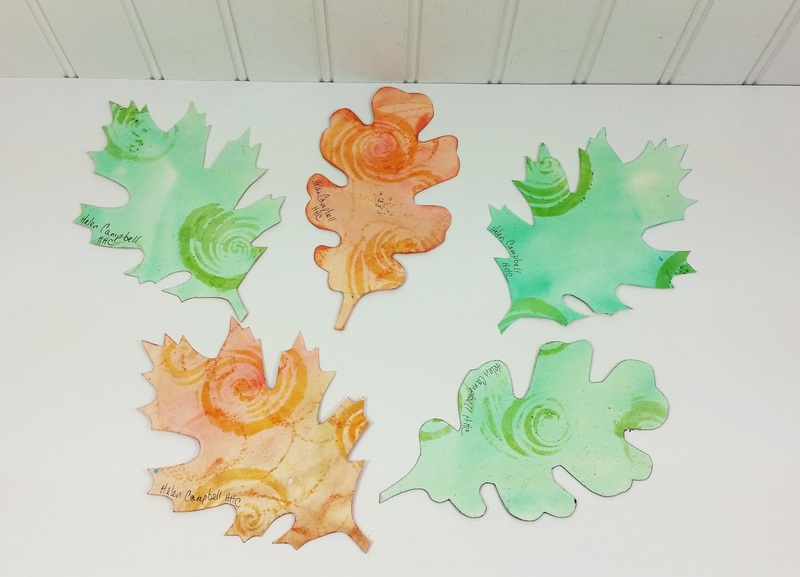 I'm sharing my final submission to the leaf mail art swap on atcsforall.com I mentioned a few weeks ago. We were to create a realistic shaped leaf, and art it up however we wanted. They must be sturdy and should be 5-7 inches tall. Mine are all 6 to 6-1/2 inches tall, and have a watercolor collage style background. Hoping the recipients enjoy them as much as I enjoyed making them. I'll share the leaf art that returns to me. What a fun project! 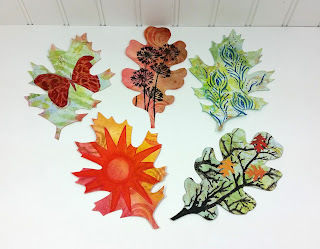 Your swap buddies will certainly like their leaves. I think I said it before -but really, what a wonderful idea for a swap!! Love your leaves and wish I had known about this too-it would have been fun. Happy PPF! Such a clever idea. These are lovely! These are fabulous!!!! What a fun project to be part of.